It’s been a rough day and all you want to do is curl up in bed, switch on the AC, turn on Netflix and escape into a familiar world of fantasy, with chopsticks in hand as you dig into your favorite Dimsums, baos and Maki rolls. Oki-Poki to the rescue! 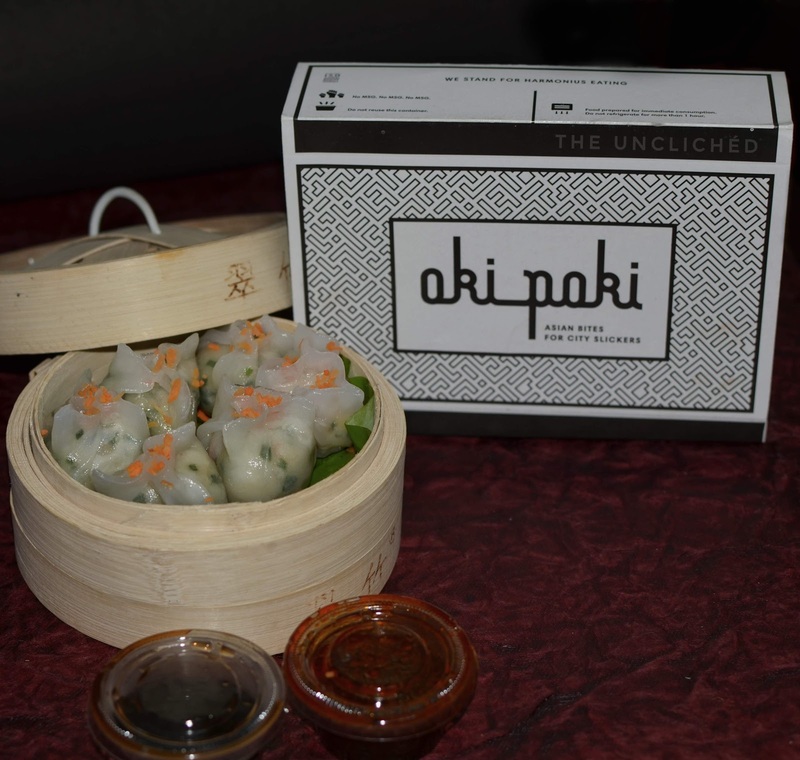 Oki-Poki is Mamagato’s delivery-only offering and is a hassle free way to enjoy some authentic Asian favorites in the comfort of your home. Here is a quick review of some of the items that Mamagato was kind-enough to send me to experience their delivery-only menu. 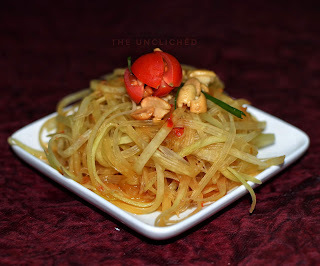 Som Tam Salad with Peanuts: Would you ever try a vegetarian, pan-Asian salad? If you do want to, this is what you should get and you will be presently surprised. A chiffonade of raw-papaya topped with cherry tomato, sweet, sour, salty and sweet, this was so good. It was served with toasted peanuts that you might want to top the salad with. Prawn and Chive Dimsums: A Classic combination of beautifully cooked large chunks of juicy prawns and a mild-chive flavor. They were served with a couple of sauces, a Chinese vinegar sauce and a red-chili sauce. The Dimsums were excellently made, were large without being clumsy and tasted brilliant! 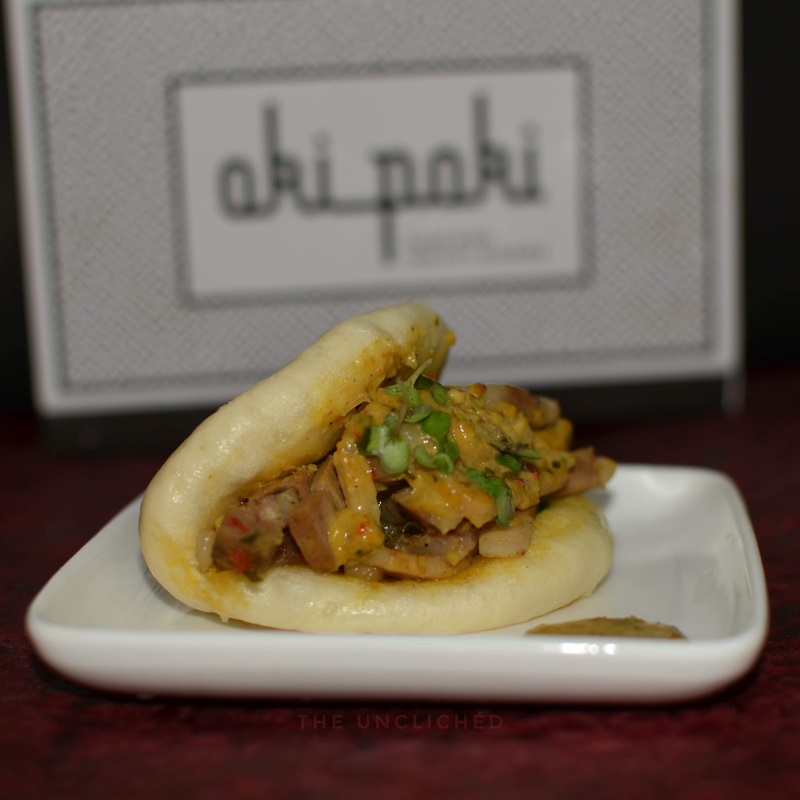 Pulled Pork Bao: A bao is easy to get wrong and might end up getting thick and chewy. None of those problems here. Perfectly-made baos with nicely-cooked pork shreds, and topped with a tangy, spicy flavorful Burmese curry.The sweetness of coconut milk, the beautiful fragnance of lemongrass and the punch of chili in the end, this curry/sauce took the dish to another level. If ever a bao had a companion, this would be it! 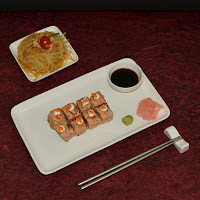 Smoked Salmon Maki: Beautifully smoked Salmon pieces with the umami of tobanjan(chili-bean sauce) and topped with toasted sesame seeds, this was an unusual combination that came together beautifully. 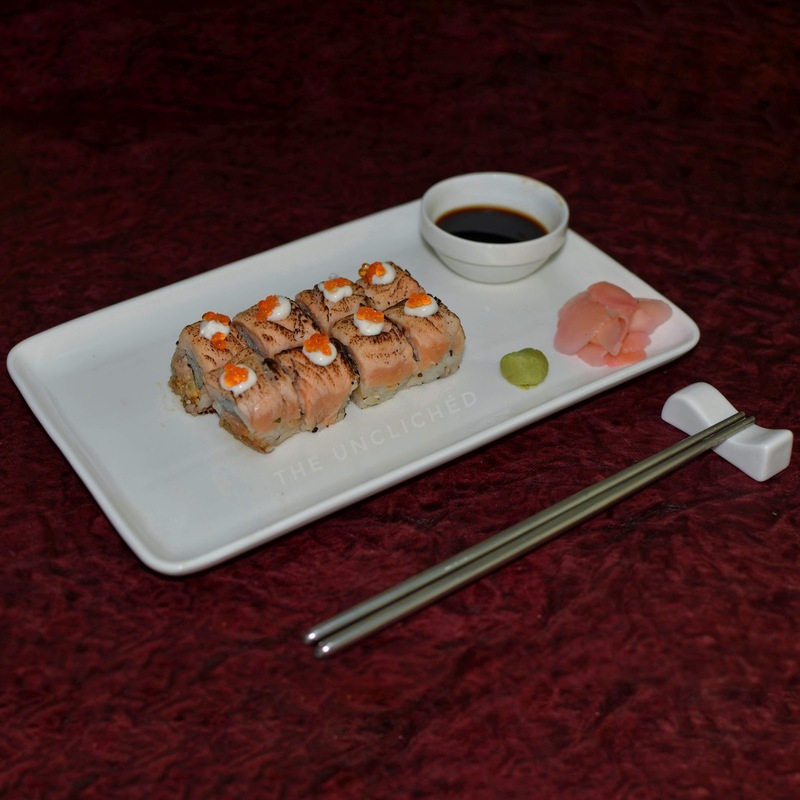 Monster Roll: This was more of a fusion roll, with salmon, prawn and tuna, topped with Japanese mayo and caviar-like pearls. A well-executed maki roll. 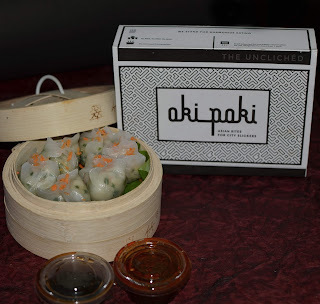 Verdict: An excellently curated menu, authentic preparations, beautiful craftsmanship and packaged expertly, this is a delivery-menu that will remain right at the top of my list for my pan-Asian needs. 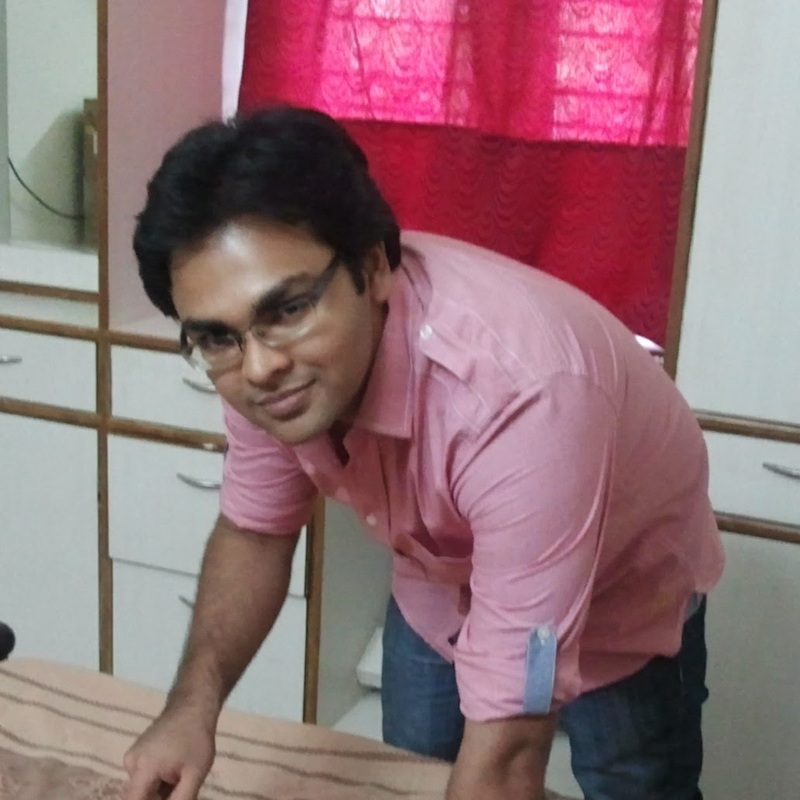 Be it for a romantic candlelight dinner at home or a hassle-free meal for your personal pleasure or just to hangout with your friends while lounging around at home, try it now and Thank me later! Highly recommended! P.S. : I wish they had some dessert options, and this menu would be perfection!